Destination: Asheville – Part 1 | Drink. Blog. Repeat. It’s hard to talk about beer destinations in the U.S. and not mention Asheville, NC. In the past few months, the hipster-friendly mountain town has snagged the East Coast operations of both Sierra Nevada and New Belgium, and won the title of Beer City U.S.A. for a third straight year. Not only is the city alone home to more breweries than some neighboring states have in their entirety, but it’s clean water and independent attitude make it a haven for beer geeks in the surrounding areas. While it’s just about three hours away from Columbia, I’d never had the chance to make it up to Asheville until this past Saturday. A great concert at The Orange Peel happened to fall on a weekend when there were no wedding-related activities for my fiancee or me, so we decided to take a day trip and check out some of Asheville’s beer culture. 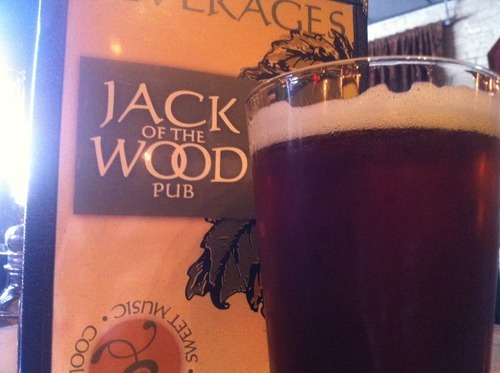 Our first stop of the day was Jack of the Wood, a Celtic-style pub in the heart of downtown Asheville. 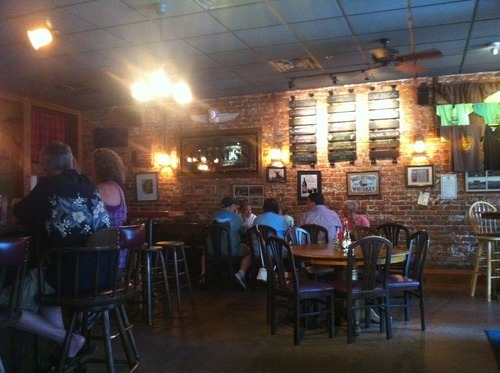 The original home of Green Man Brewery, Jack of the Wood has a relaxed rustic atmosphere, an impressive and inexpensive menu full of unique and local food, and a great selection of both local and guest beers. I opted for the duck and bacon burger with Sriracha aioli (!!!) 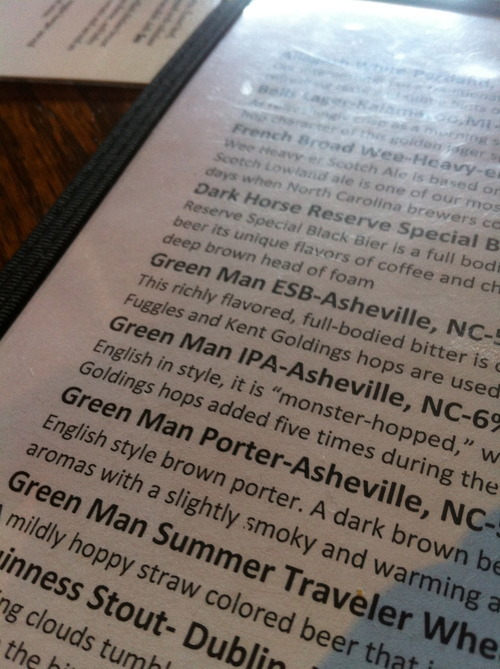 and a Green Man IPA, a 6% American IPA with an earthy dank hop profile and a smooth maltiness. A great beer to start our journey. 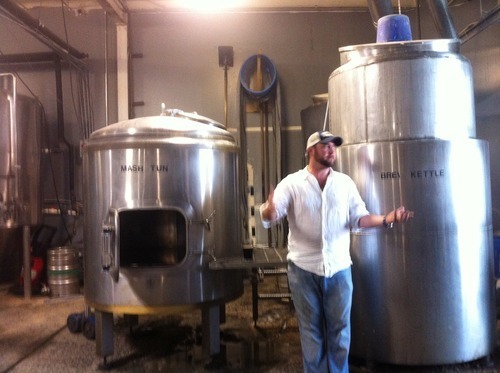 Next up was a short drive out to Black Mountain, NC, home of Pisgah Brewing Company. 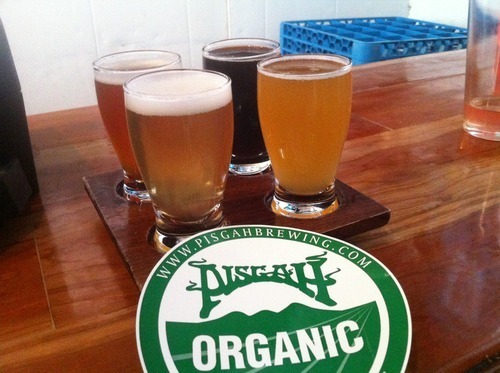 Located in an unassuming industrial park – I thought my GPS had lied to me we had arrived – Pisgah pumps out organic brews that range from the standard IPAs and wheat beers to bacon stouts and coconut porters, all with certified organic ingredients. It’s a characteristic the brewery prides itself on, so much so that their logo is a play on the “Organic” stamp you see on foods. Additionally, they use only whole-leaf hops and no pellets, so the hop leaves steep like tea instead of dissolving and becoming part of the beer. That adds a lot of unique characteristics. 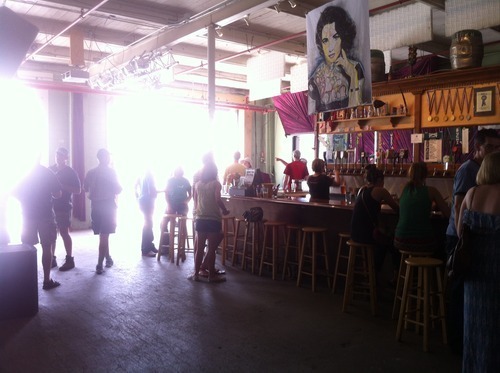 The taproom is located in a big, open warehouse with a stage and patio. 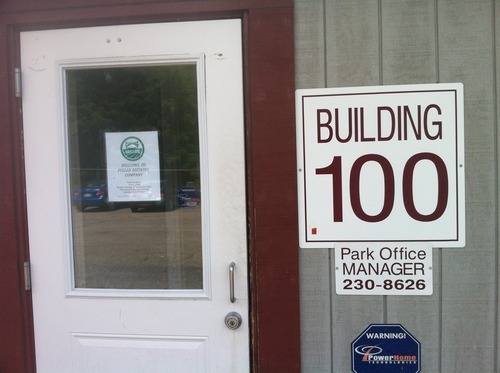 With the weather being nice and warm on Saturday, the doors were thrown open and people came and went as they pleased. The Coconut Porter, also known as the Blind Pig Porter. The pound of coconut used while brewing was quite apparent, as were the creamy chocolate notes from the roasted malts. 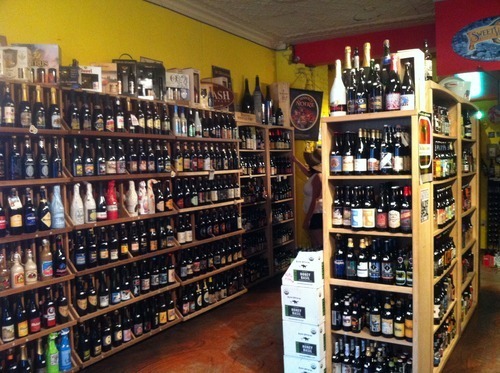 I’ve heard a lot about what many consider Asheville’s go-to beer store from friends who have traveled through the city. I was expecting some expansive and cavernous store with beers as far as the eye can see, but of course, that’s about as un-Asheville as you can get. 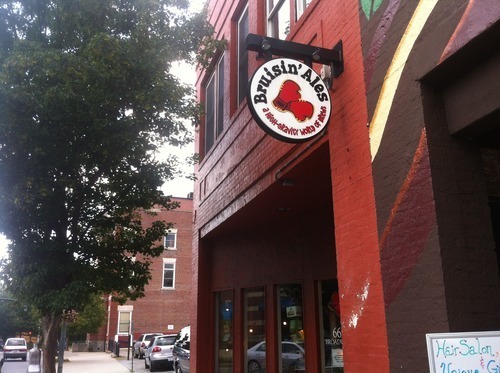 Instead, Bruisin’ Ales is a quaint and unintimidating spot in the heart of downtown with a great staff and an even greater selection of craft beer from near and far. It should be noted that co-owner Julie Atallah was nice enough to stop and talk with me for a bit and give us a little liquid welcome to enjoy by browsing. But that hospitality in no way affected my thoughts that Bruisin’ Ales is a great beer store you should give all your money to. This was only part of our day in Asheville. But you look like I need a drink, so stay tuned for part two. Pingback: The Beers of Mother Earth, Part 1 | Drink. Blog. Repeat.